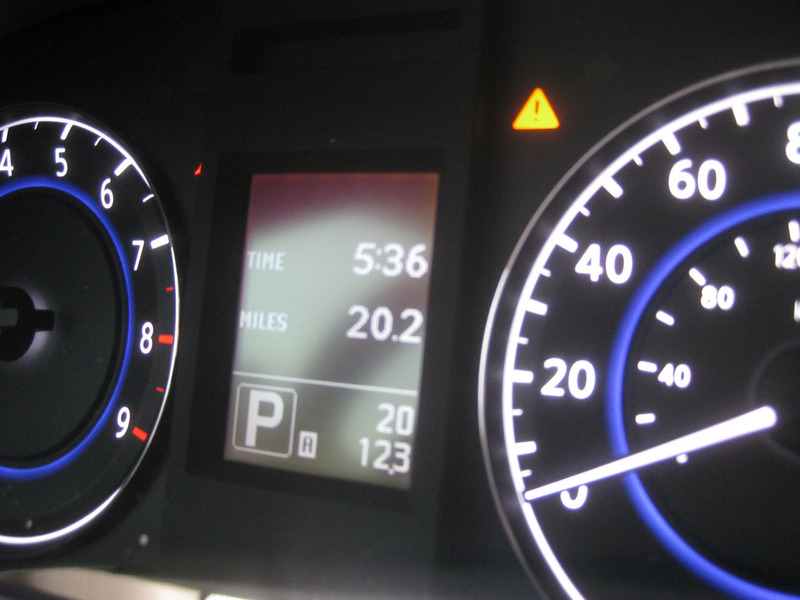 How’s that for an illustration of mileage differences! I had the opportunity yesterday afternoon to accompany my friend Matt with his mom who was looking for a new vehicle. 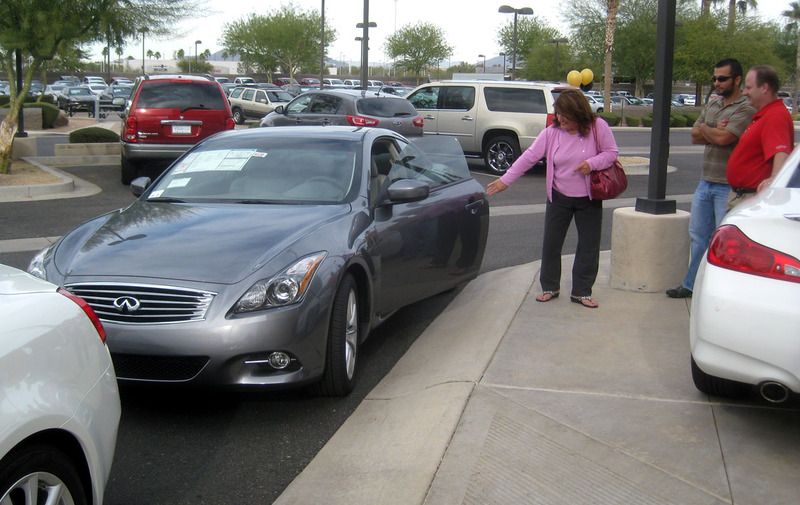 She ended up buying a gorgeous graphite-colored Infiniti G37 coupe that had 20 miles on it, or about 505,370 miles less than my Acura Legend! New off the lot. I wonder if I’ll ever own anything so new. When she brought it by my house in the evening, it had 39 miles on the odometer, and I was allowed to drive it about 6 miles to meet up with friends at a local car show. 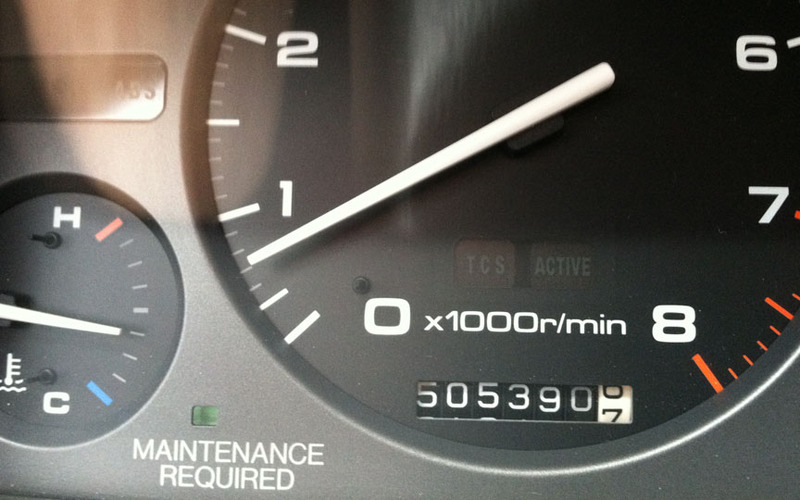 I’ll be curious to see if the Infiniti’s got what it takes to get to half a million and beyond. It sure does look and ride nice! It was another in-town weekend for the old Legend but with plenty of running around. Since my mom was in town, we had some sights (and people) to see over the past couple of days. She and I had registered about a year ago to participate in a half marathon race together. After picking up our runner information packets at the Phoenix Convention Center on Saturday morning, we drove up historic Central Avenue to meet a couple of friends for brunch at The Good Egg. En route, we passed by a number of important landmarks, including this hotel called the Westward Ho. 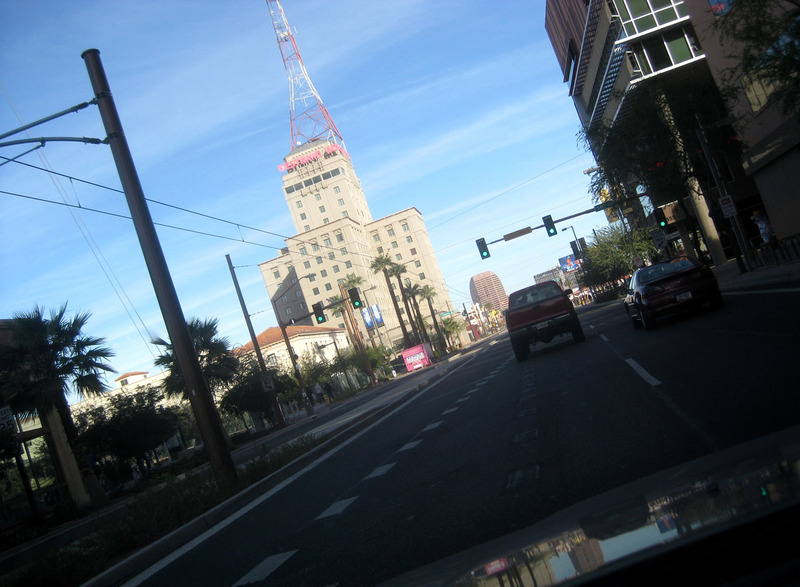 Completed in 1928, it was the tallest building in Arizona until 1960. The hotel itself closed in 1979. Since we’re on the subject of mileage achievements: This morning we participated in the Rock & Roll Arizona Half Marathon. 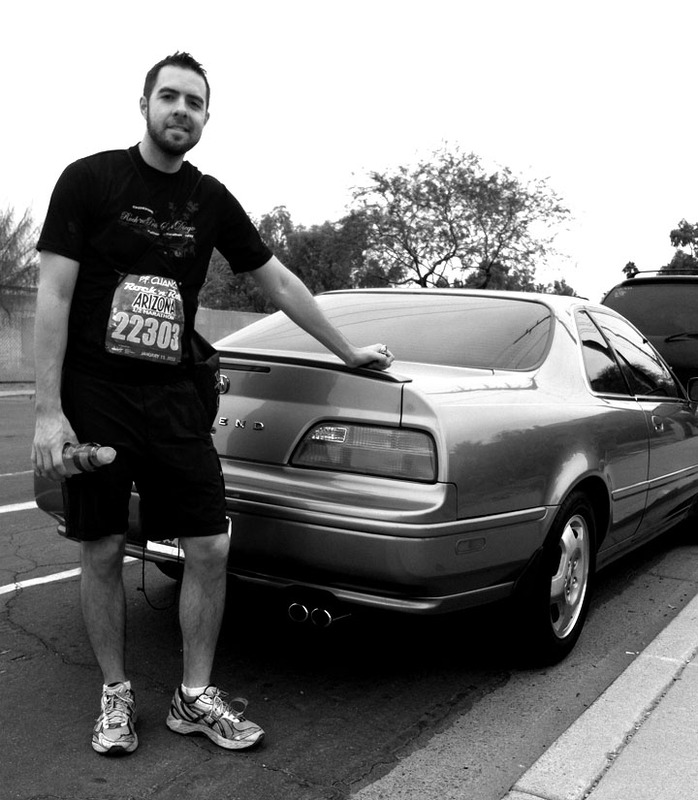 The 13.1-mile race started in downtown Tempe, Arizona, and ran a huge loop through the cities of Scottsdale and Phoenix, then back to Tempe for the finish. We couldn’t have asked for better race-day weather, at 60 degrees and overcast. 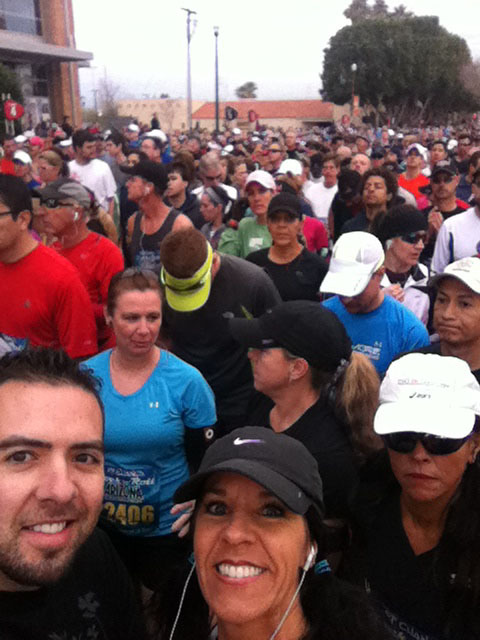 This is a picture with my mom at the start line in our assigned corral. Literally thousands of people participated. We were herded like cattle! Post-race and back to our shuttle vehicle. 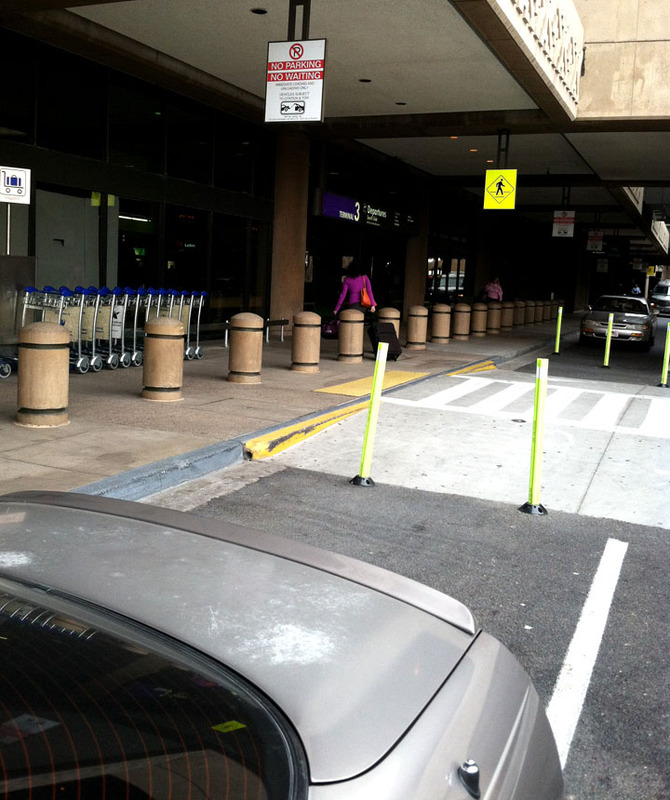 And finally a farewell as mom caught her early afternoon flight from Phoenix to Salt Lake City at “Sky Harbor” airport. This entry was posted on January 15, 2012 at 11:22 pm and is filed under Legend, Road Trip, Running, Utah. You can follow any responses to this entry through the RSS 2.0 feed. You can leave a response, or trackback from your own site. This post makes me tear up. It is both happy and sad for me. So good to see you and so difficult to walk away from you again. Thanks to you and The Legend for such hospitality. I will be back, and I expect you BOTH to greet me! You got it! Glad you’re home safe and sound. Come back soon. That’s great to see the two of you running a half marathon together! Sharing the fun…and pain! Congrats! Thanks Marc! You need to escape the cold and bring that road bike over here so you can take some laps around the city. Great biking weather these days. I’m a little sore today but loving it. No pain, no gain! great pictures – both of you! Dave, I hear ya – I’m perfectly confident in my own driving abilities but I don’t trust everyone ELSE on the road. Bundle up and enjoy a nice relaxing day off!